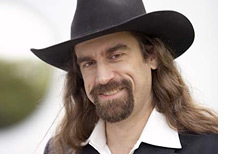 What is Chris Ferguson's Estimated Net Worth? Q: What is Chris Ferguson's Net Worth? A: Chris Ferguson's net worth has obviously sharply declined over the past couple of years thanks to "Black Friday". According to the US Department of Justice, Chris "Jesus" Ferguson owned the single largest stake in Tiltware LLC, which was the former parent company of Full Tilt Poker. Ferguson reportedly owned a 19.2% stake in the company, while the next largest stake was held by Howard Lederer (8.6%). Now, there was a time when Full Tilt Poker was reportedly worth close to a billion dollars, which would mean that Ferguson's stake in Tiltware LLC would have been valued at well over $100 million. According to the US Department of Justice, the owners of Full Tilt Poker distributed over $440 million to themselves between April of 2007 and April of 2011. According to the DoJ, Ferguson was allocated $85,161,305.88 of this money. $25 million was reportedly transferred to Ferguson's personal bank accounts, while the remainder was "characterized as owed" to Ferguson. Chris "Jesus" Ferguson officially settled with the US government in February of 2013. Now, Ferguson is a smart and seemingly frugal guy. In addition, Ferguson had the best lawyers working for him, which leads me to believe that he was able to retain a significant number of assets after settling with the government. I would be shocked if Ferguson's net worth was currently anything less than $5 million.